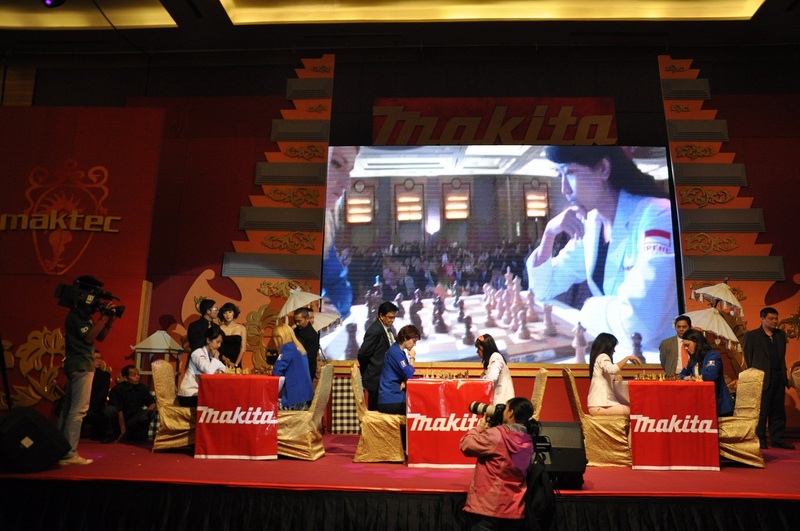 Peter Long on Chess: Blitz Match at the Opening Ceremony! Soon after I arrived at the hotel from the airport where the AirAsia flight again proved to be the now usual nightmare, we held the technical meeting where the principal business was the drawing of lots for the Rapid and Classical games and then came the Opening Ceremony where four tables suddenly appeared on stage, the Indonesia and French teams were introduced and a Blitz Match broke out! No, I am of course joking. Even if a one off match affair, there was money at stake - USD 600 going to the winning team and USD 400 a nice consolation for losers. Not to mention that although not being FIDE rated, the scores are counted towards the overall team and individual results. But the players of course went at it for national pride (as they should) and approximately 5 frantic minutes later with a rapt crowd paying close attention and a large media turnout very much in the way of the arbiters who were reduced to spectators, the French girls emerged 3-1 winners in an exciting match that could have gone either way. We now move to the new renovated Grand Ballroom at SCUAR (Sekolah Catur Utut Adianto) for the FIDE rated 4 Rapid and 4 Classical games (played using the Scheveningen System where each member of a team plays every member of the opposing team). 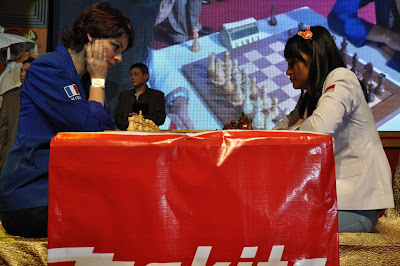 I am really looking forward to be finally able to visit this legendary chess academy in the south of the city that for some reason or another I never did but should really be saying that the matches will start at 2.30 p.m. daily except the last day so do go to http://chess-results.com/tnr87732.aspx?art=3&rd=1&lan=1 to keep track of the results of the Rapid being played the next two days.